There are many joyful traditions during the Christmas season. If the joy of getting a fresh cut tree every year is outweighed by the annoyances of tying an unwieldy tree to your car in blustery weather, struggling to get it inside your house, pricking your fingers while trying to hold it steady and mount it straight, and then cleaning up needles for weeks, it may be time to start a new joyful tradition: that of the convenient, attractive, cost-efficient, and long-lasting artificial Treetime Christmas tree. Artificial christmas trees have come a long way. There are upscale and well-made choices that mimic real trees amazingly well, and are even categorized by type of trees like: Alpine Fir, New England Spruce, Oregon Pine, California Cedar, and many more. Then there are ones that are designed for a unique look, such as white, silver, black, purple tinsel trees, upside down trees, spiral trees, and even metal sculpted trees. Artificial trees are available in heights to reach the top of cathedral ceilings down to sizes ideal for decorative table-top centerpieces. Choices are available with or without lights and pre-lit versions offer clear and multi-color light options. 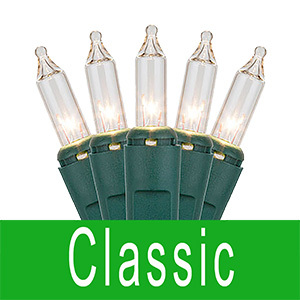 Quality considerations span several areas: sturdiness of stand and structure, quality and density of both branches and lights, and ease of assembly, all of which will be covered in depth later. In general, stands and structures of metal are stronger and safer than lighter and easier to tip plastic versions. The quality of branches greatly affects the look of the tree, and is determined by both material and manufacturing. 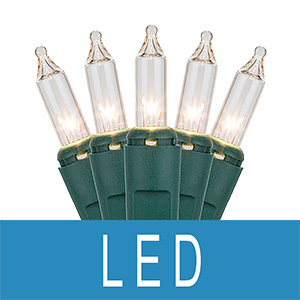 Lights should be UL rated for safety, include burn-out protection (so that one light can go out without affecting the others), and shine brightly. For the nicest look, there should be an appropriate ratio of number of lights and branch tips to tree height. Trees made using hinged branch construction are easier to assemble each year than the less expensive hook-in branch versions. Tree accessories include christmas ornaments, of course, as well as christmas tree skirts, power strip/surge protectors for lighting safety and longevity, lights if the tree does not include them, and tree storage bags or boxes that are dust and insect-proof for off-season protection. Stands are generally included with the trees. High quality artificial trees are made to last for a decade or more, and often come with warranties to back that up. Warranties for the tree itself are usually longer than for the lights. In general, the one time expense of an artificial tree will cost far less than buying a real tree year after year. One feature artificial trees don't include is the fresh cut scent, though people with tree allergies won't miss that at all. And for those that do, there are tree fragrance items that just may do the trick.